The Melanoma Research Alliance (MRA), the largest non-profit funder of melanoma research worldwide, has appointed Marc Hurlbert, Ph.D. as the organization’s chief science officer. His role began November 1, 2018. Hurlbert comes to MRA after having spent more than a decade in breast cancer research. Bio-Therapeutic welcomes Annet King to the team as their new vice president of business development. For many, King needs no introduction. As senior director of global education for Dermalogica for over 19 years, she led the development of global IDI and Dermalogica education and curriculum and worked closely with research and development on product innovation and treatment development. In her new role at Bio-Therapeutic, she brings a wealth of expertise, experience, and relationships that will be focused on global strategic brand development and expansion, while using her vast knowledge to refine and redefine internal, client based, and institutional educational systems. “Annet is a powerhouse of knowledge and experience in our industry. We are thrilled to have her join us,” said David Suzuki, CEO and president of Bio-Therapeutic. Southeastern Esthetics Institute is honored to have graduated its 100th class on October 22, 2018. 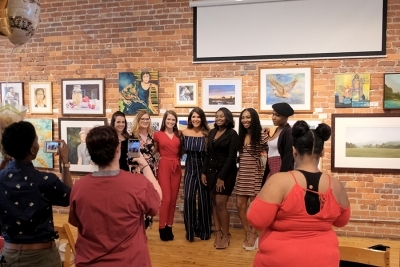 They hosted this special celebration at City Art in Columbia, South Carolina. In attendance were family, friends, fellow students, and instructors. Paula Wessinger, an instructor over the elite campus, shared her experience in teaching these individuals throughout their 20 weeks. “There were many tears and lots of hugs shared. It was a meaningful event for all,” said Wessinger. All graduations are one of a kind and are catered toward each graduating class and student. Not one graduation is the same. Each individual is different and Southeastern Esthetics Institute understands that and speaks to each student who is moving out of the program and into the real world. Southeastern Esthetics Institute holds a graduating licensure course approximately every five weeks, each time placing highly trained aestheticians into the heavily growing industry. The 600-hour aesthetics licensure course is the only accredited aesthetics course in the state of South Carolina. The program teaches theory, practical, and real-life aesthetics experience to create the most well-rounded individuals possible. They are pressed to be the best they can be and to participate in community service, working independently and in groups. 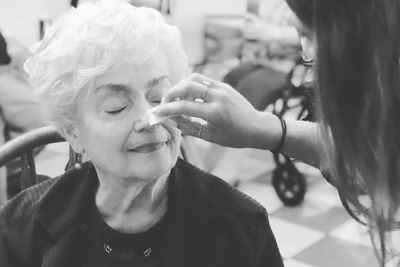 On August 6, the core students of Southeastern Esthetics Institute completed a variety of services – from miniature facials to makeup – on the residents of Harbison Hall, located in Columbia, South Carolina. LivNordic, the spa brand founded by Raison d’Etre to encourage the Nordic art of wellness, announced the launch of a new collaboration with Sauna From Finland, to help spas and consumers discover the importance of authentic sauna practice. Bringing together LivNordic’s wealth of global spa industry knowledge with Sauna From Finland’s expertise on the truly Finnish sauna experience, this collaboration aims to encourage a higher standard of sauna in the global industry and raise awareness of the benefits of the practice. A traditional Finnish sauna is a perfect place to rest, relax, and focus on health and well-being. Taking a sauna reduces stress and improves quality of sleep. In the sauna, the mind and body are cleansed and find harmony. Raison d’Etre has been shaping the world’s finest spas for over 20 years, leading wellness businesses into world-class status and developing Scandinavian-inspired spas with LivNordic. By collaborating with Sauna From Finland, the global spa consultancy hopes to encourage a more traditional Finnish experience that will be taken on board by new and well-established spas. In September, the global eczema community united to observe the first-ever Atopic Eczema Day to raise awareness and understanding of eczema and atopic dermatitis. Atopic Eczema Day brings together those affected by eczema or atopic dermatitis to share experiences and future aspirations and drive actions that improve lives all over the world. On August 23 and 24, Repêchage CEO and Founder, Lydia Sarfati joined Stacie Bowie, master stylist and owner of Bowie Salon and Spa in Seattle, Washington for a series of exclusive events to introduce the new Repêchage Glow and Go Bar – a concept that combines customized facial massage and mask services. Bowie Salon and Spa has been a Repêchage partner since 2016, and Stacie Bowie is excited to add these facial massage and mask services to the spa’s menu." 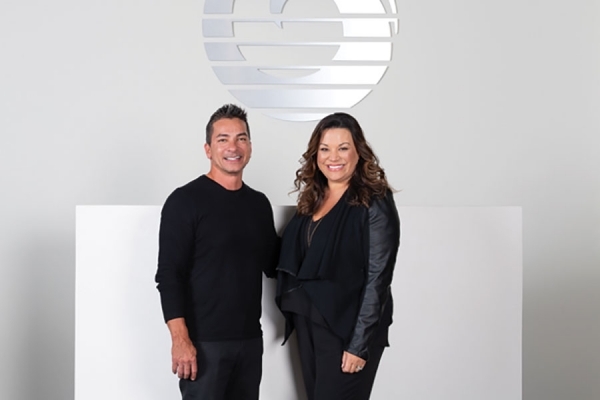 The visibility that the Glow and Go concept will create for our spa treatments will help our spa department – and overall business – grow," said Bowie. The Eminence Kids Foundation provides organic, locally-sourced, and nutrient-rich foods to sick children around the world undergoing treatments to help with an essential part of their healing and long-lasting health. As of September 2018, Eminence has donated over 65,000 meals and counting. International Spa Association (ISPA) has recognized the brand’s efforts to make organic produce accessible to all children going through treatment by granting the organization an award for innovation. Sentient Lasers, a business solutions company and a leading pre-owned aesthetic laser company that buys, sells, warranties, and provides service contracts for aesthetic lasers and light devices, announced the addition of Ryan Haller as director of marketing and business development. In his new role, Haller will be responsible for spearheading marketing strategy, including helping the company merchandise their new, state-of-the-art headquarters and service and repair facility. Haller joins Sentient Lasers with more than 20 years of experience in the medical laser industry. Haller has an extensive background in developing and expanding marketing campaigns, project management, strategic planning, and budget management. LivNordic, the spa brand founded by Raison d’Etre to encourage the Nordic art of wellness, announced the launch of a new collaboration with Sauna From Finland, to help spas and consumers discover the importance of authentic sauna practice. Together, Sauna From Finland and LivNordic will share their knowledge about the many benefits of the Finnish sauna and offer spa clients all over the world an authentic Finnish sauna experience. Bringing together LivNordic’s wealth of global spa industry knowledge with Sauna From Finland’s expertise on the truly Finnish sauna experience, this collaboration aims to encourage a higher standard of sauna in the global industry and raise awareness of the benefits of the practice. A traditional Finnish sauna is a perfect place to rest, relax, and focus on health and well-being. Taking a sauna reduces stress and improves quality of sleep. In the sauna, the mind and body are cleansed and find harmony. Raison d’Etre has been shaping the world’s finest spas for over 20 years, leading wellness businesses into world-class status and developing Scandinavian-inspired spas with LivNordic. By collaborating with Sauna From Finland, the global spa consultancy hopes to encourage a more traditional Finnish experience that will be taken on board by new and well-established spas. Sauna From Finland’s website shares the rating of saunas and services, with the Authentic Finnish Sauna Experience Quality Certificate marking the highest standard of sauna. The company also assists spas and businesses to design and implement the highest-quality sauna experience. Today, the global eczema community unites to observe the first-ever Atopic Eczema Day to raise awareness and understanding of eczema and atopic dermatitis. Atopic Eczema Day brings together those affected by eczema or atopic dermatitis to share experiences and future aspirations and drive actions that improve lives all over the world. 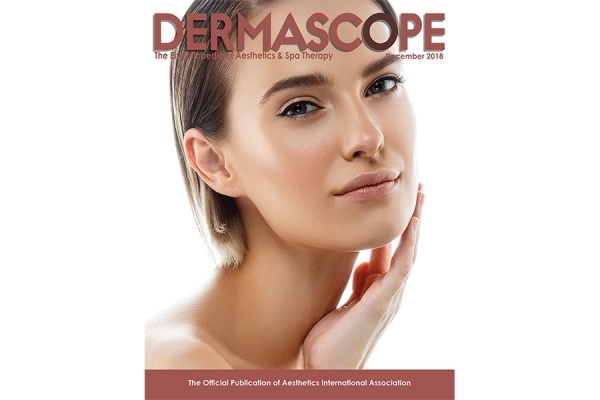 To deliver that action, the International Alliance of Dermatology Patient Organizations (IADPO), also known as GlobalSkin, is unveiling AltogetherEczema, a new movement to elevate the urgent and unmet needs of the global eczema and atopic dermatitis community. Altogethereczema.org will serve as the central hub for people affected by eczema or atopic dermatitis, as well as patient leaders – providing resources, gathering insights, and seeking to empower collective advocacy. Globally, eczema affects up to 20 percent of children and 10 percent of adults. Atopic dermatitis is the most common – and chronic – form of eczema, which, typically, causes patches of dry, itchy skin that may worsen and can erupt into a rash when scratched. But, people also, often, experience a significant, negative impact on their emotional wellbeing – from an inability to sleep to associated feelings of social exclusion and depression or anxiety. It is this hidden, multidimensional burden that needs urgent attention. 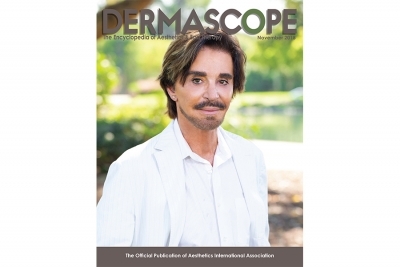 AltogetherEczema urges the eczema and atopic dermatitis community to share their story and experiences of life with the condition, as well as their aspirations for the future. By doing so, the key issues faced globally can be investigated, utilizing shared knowledge and insight to inspire advocacy and a campaign for change. This new menu of massages combined with express facial services was created by Sarfati as a way for salons and spas to capitalize on the rise of facial massage. Clients enjoyed a full-day event of skin analysis performed by Sarfati, followed by a service recommendation. Bowie Salon and Spa has been a Repêchage partner since 2016, and Stacie Bowie is excited to add these facial massage and mask services to the spa’s menu. On June 26, the Los Angeles Business Journal hosted the Women’s Council and Awards – a half-day event of inspiration, education, and recognition. The top business leaders in Los Angeles, California gathered to share their wisdom through a series of keynote speeches, dynamic panels, and workshops. The annual event honored the achievements made by powerful women who make a difference throughout Los Angeles. President of Altair Instruments, Brenda Acosta, won the prestigious “Entrepreneur Founder/Owner of the Year” award. With over 300 nominees, including Gillian Zucker of the LA Clippers, Christine Simmons from the LA Sparks, and Gold Medalist Jordyn Wieber, Acosta humbly accepted the impressive award. “It’s an honor to be among the most accomplished and distinguished female leaders,” Acosta said. Some could say this prestigious accolade could not have happened at a better time. DiamondTome will be celebrating its 20-year anniversary next year. Acosta has been working on the year-long marketing campaign to celebrate this anniversary. Skinvisible Pharmaceuticals, Inc. announced the forming of Kintari, a new wholly-owned subsidiary to market a premium line of scientifically formulated skin care products powered by the company's patented Invisicare® technology. AAK Personal Care signed a sole distributor agreement with ABA Mexico S.A. de C.V.